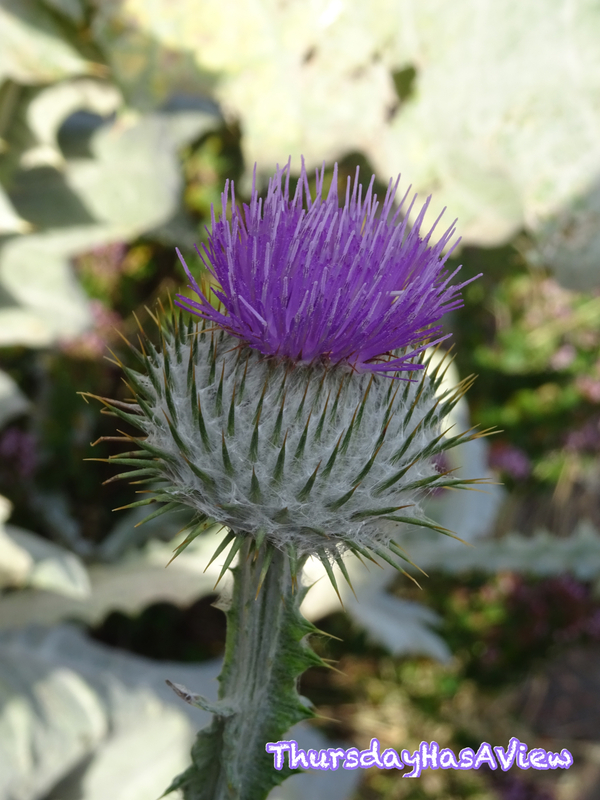 Thistles are everywhere in Scotland, so it’s no wonder this flower is the floral emblem of Scotland. Just as the rose is beautiful yet prickly, the thistle should be approached with caution. Legend has it that this flower became the symbol for Scotland when a barefooted Norse warrior accidentally stepped on some thistles during an invasion of Scotland, and it was his screams that alerted the Scots of the attack and saved the day. True or not, this purple beauty is a sight to behold. This entry was posted on August 12, 2016 by Valerie Leung. It was filed under My Cities and was tagged with Flowers, Scotland, Thistle, Travel.